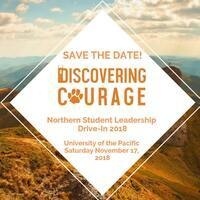 University of the Pacific is hosting the Northern Student Leadership Drive-In Conference, a one day conference for student leaders within college and university residential life and housing offices across Northern California. It provides an opportunity for student leaders across the region to showcase their interests and expertise through a wide variety of presentations. NSLDI also exposes students to another university campus and student experiences. Contact Brenda Manzo bmanzo1@pacific.edu for questions or information. 11/16/18 This event is canceled due to the recent wildfire emergencies in Northern California.